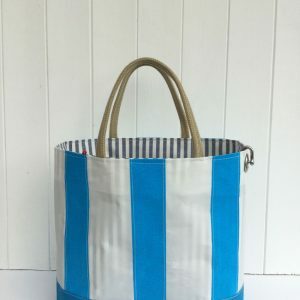 A sturdy natural canvas bag with olive green canvas base, green and white check lining. 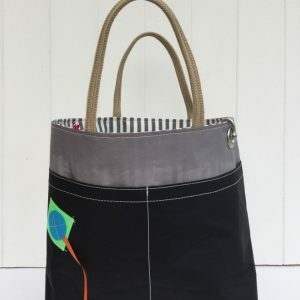 Complete with eyelet and shackle, jute handles. 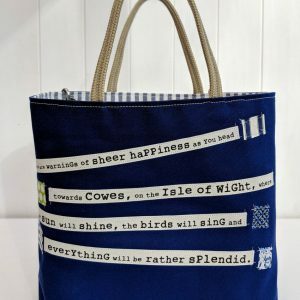 This range of bags feature jolly rhymes that are about the environment around us. 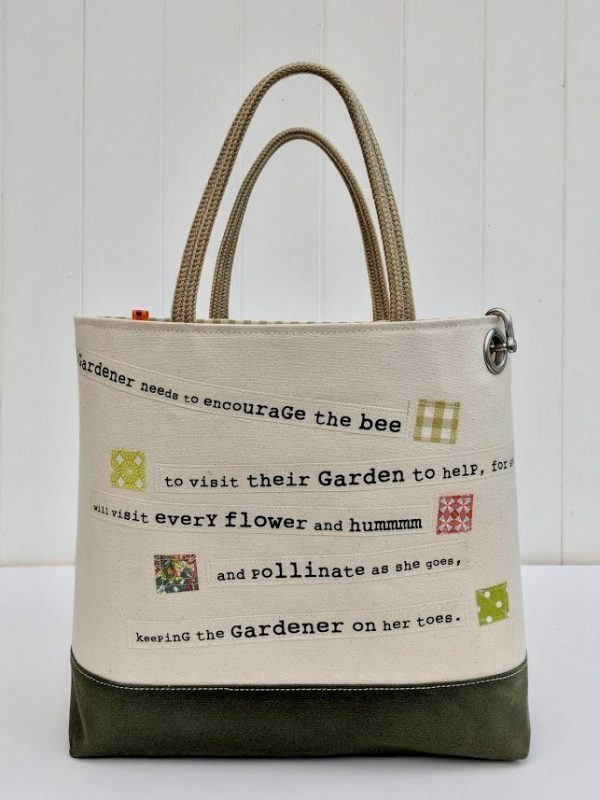 A Gardener needs to encourage the bee to visit their garden to help, for she, will visit every flower and hummmm and pollinate as she goes, keeping the gardener on her toes. For every bee that comes along a thousand more will know they belong, the more you plant, the better the view, your garden will bloom and the bees will too. 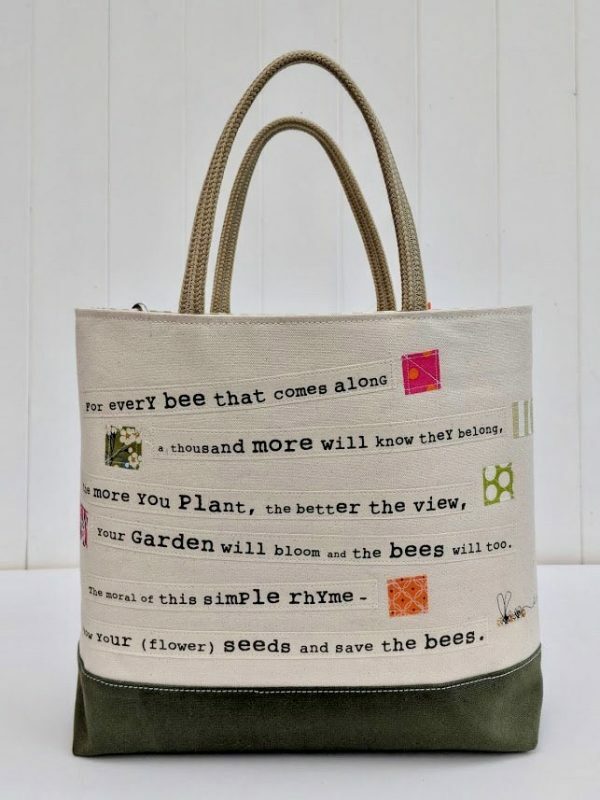 The moral of this simple rhyme -is sow your (flower) seeds and save the bees.